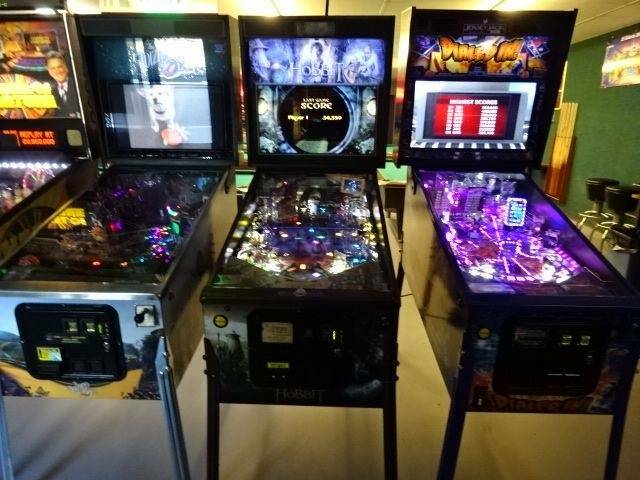 » Forum » Game manufacturers » Jersey Jack Pinball » Whats your top 3 JJP pinball machine? 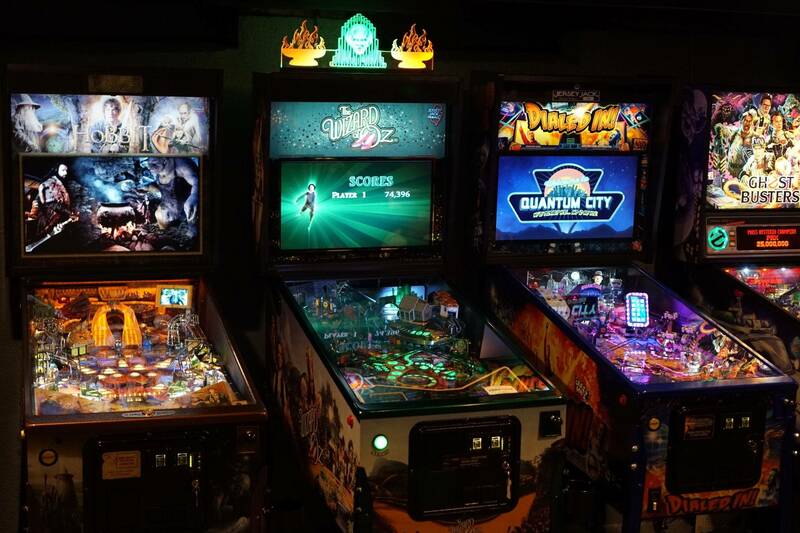 » Whats your top 3 JJP pinball machine? Whats your top 3 JJP pinball machine? We are all different, but as of now, i really enjoy The hobbit, had even more plays on the DI after i filmed, but enden up playin The hobbit anyway, whitch ones do you like and prefere, and why? Have yet to play one I would buy but I need to play Dialed In more before righting it off. Woz and Hobbit are too slow and floaty for me to enjoy. Pirates looks cool. Just waiting on JJPPOTC to join the line up. I wish people who think this of woz could have played my woz. Don't own it anymore, and I do miss it; but man, while it wasn't a flow fest it was tough and brutal. The code and rules are spectacular, with satisfying shots and jackpots. it's a good rush of a game. Dialed In too long and linear for my liking but man it's still a great game. I enjoying my Dialed In and I’m getting a nice huo hobbit tomorrow! I wish people who think this of woz could have played my woz. Don't own it anymore, and I do miss it; but man, while it wasn't a flow fest it was tough and brutal. Yeah, while WOZ may be slow and floaty if set up poorly, mine at home has strong flippers and a steep pitch. The ball can fly, and almost every shot is dangerous. Just bought a DI as well. I’m really enjoying it but need more time on it. Definitely a very different pin than WOZ, but I love contrast. The modes on DI feel really great. I have no idea if I’m saving the city or destroying it, but whatever I’m doing, I’m having a blast. I just traded my woz away. It's a great game, but very hard to progress and understand what's going on and it was not played much when I had friends over. I vote di and I guess I'm in the minority, but I like the hobbit a lot and anxiously await new code. Thank god for Jack. He has made everyone step up their game. Stern is totally stepping it up, Spooky is stepping up. Jack has shown the world that people will pay for quality. Im glad he made. it. POTC too early to tell but looks cool! Will have to go with all 3 Might as well post this now as I won't be able own every JJP title as time goes on, will be running out of space and pinball money, lol. These 3 games are the most impressive and immersive pins I've ever owned, have been very happy with all 3. Played a lot of WOZ and don't care for it. Played not a lot of Hobbit and don't care for it. Hands down. DI is the best ! Better than the Pinball Pool you stole from me?? Did you pay for your DI with the 1000's of dollars you cheated Susi out of? Sorry to TheLaw. That was meant for trazy11. My bad. 1.Hobbit 2.POTC 3.W0Z 4.DI Played WOZ and think it’s a good game not lightning fast but fun. DI was not fun to play and the theme makes it a bit hard to want to own. Love hobbit as it’s a great adventure and lots to do when you actually know how to play it. Potcjj is a fun game and wouldn’t mind owning it in the future. My top 3 are all close and could change in the future. I don't get to play much. I do favor Dialed In. Pirates will replace the number 1 or 2 spot I'm sure. I'm with you on the Hobbit,but I've only played about 30 games on it.If I saw a Huo locally,I'd be very tempted to pick it up. There's something about Dialed In I just can't stand. Maybe I'll get over it, probably not. Hobbit has perfect integration of adventure with the visuals and sounds.